We've been watching a lot of voetbal around here lately...that's soccer to those of us not born in Europe or Africa or South America...or pretty much anywhere outside of the USA. 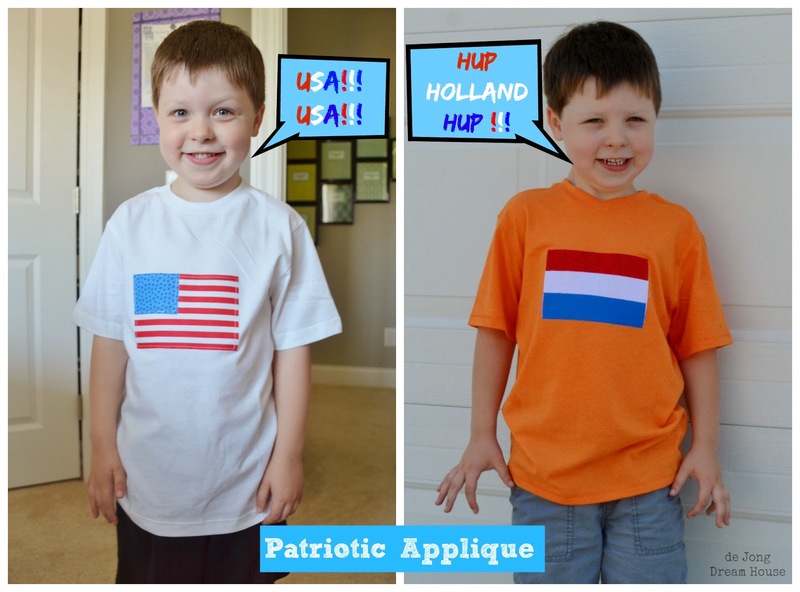 The World Cup is going strong and with both the USA and the Netherlands in the round of 16, I decided to whip up a few shirts for our son to show his dual nationality pride. 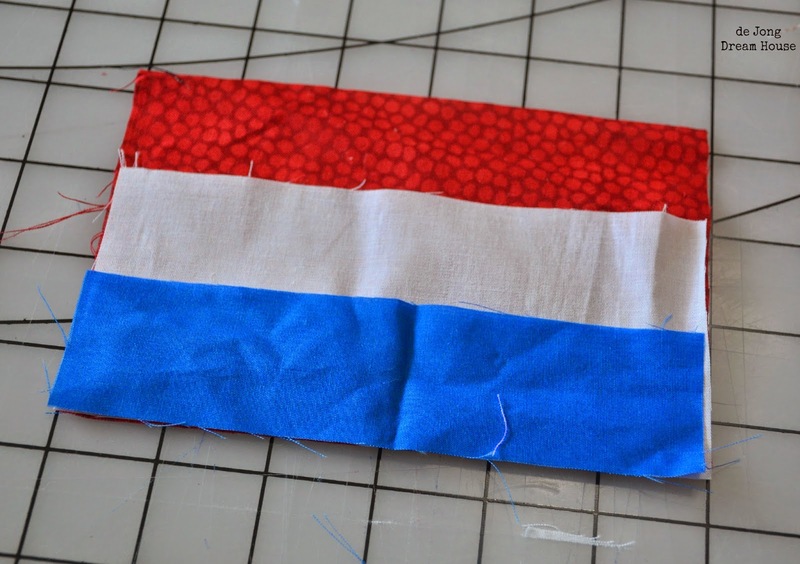 Fortunately for me, both the American and Dutch flags are pretty easy to replicate--no ornate crests or designs. 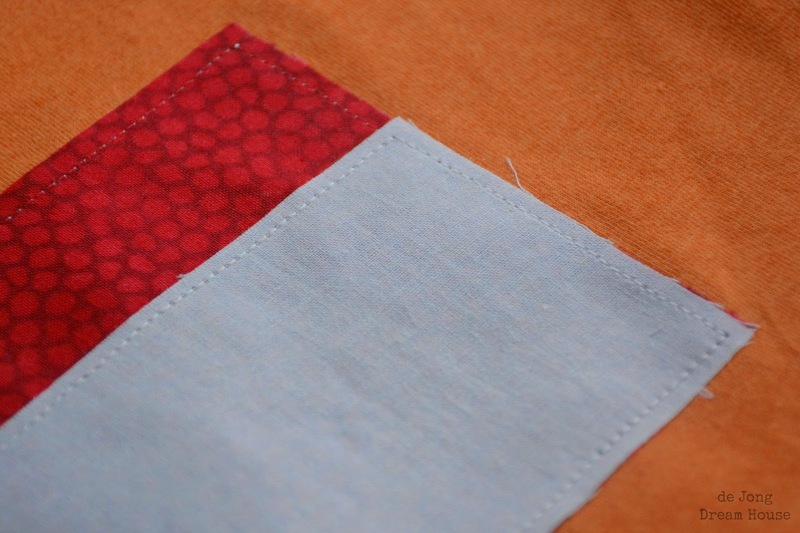 I've been wanting to practice applique to build my confidence for a quilt I have in the works. 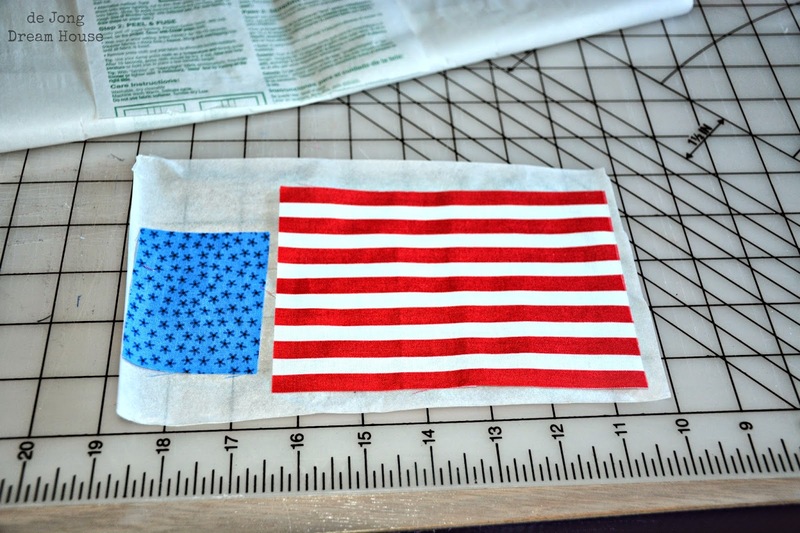 I used a 4"x6" index card as a template for the flag. 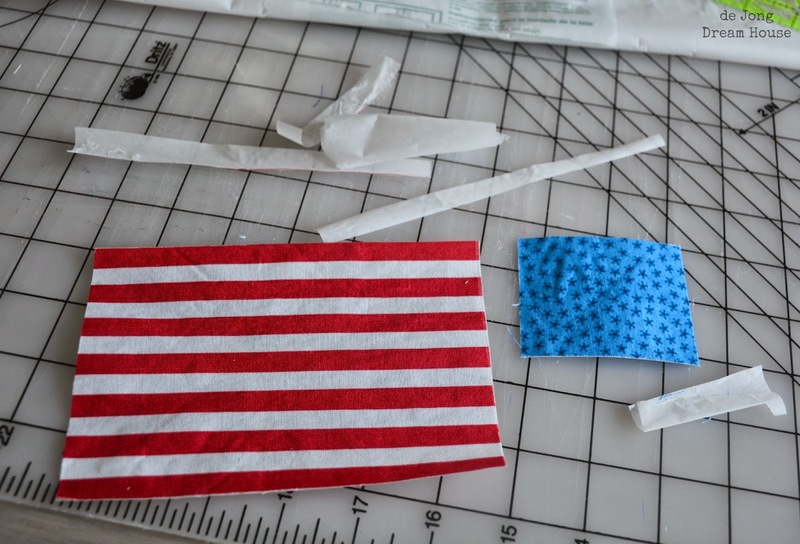 I found the red and stripe fabric as a fat quarter at Joann Fabrics awhile ago. 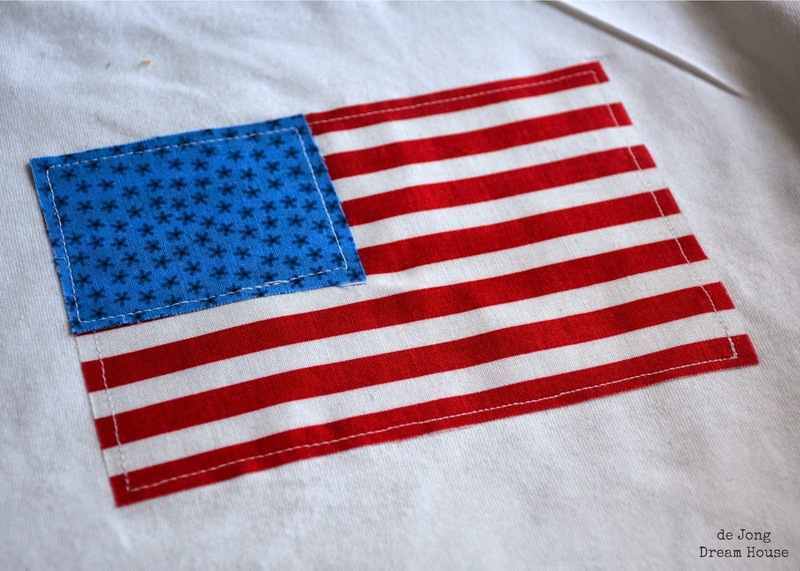 I knew I could use it for some patriotic project in the future, so I snatched up a few of them. I found the blue star fabric, which is 2"x 2.5", at Walmart. 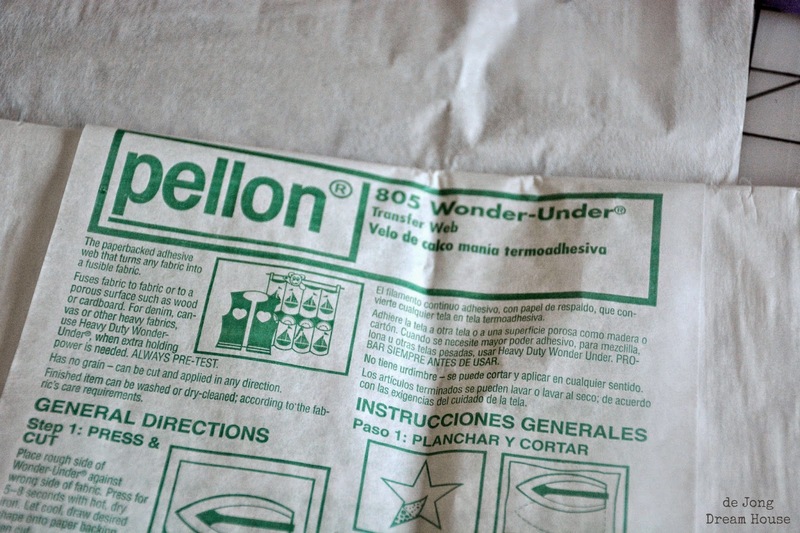 I used Pellon Wonder-Under to make the fabric sticky so it would adhere to the tee shirt. This is the way to use the transfer web if you want to make a mess of your iron! 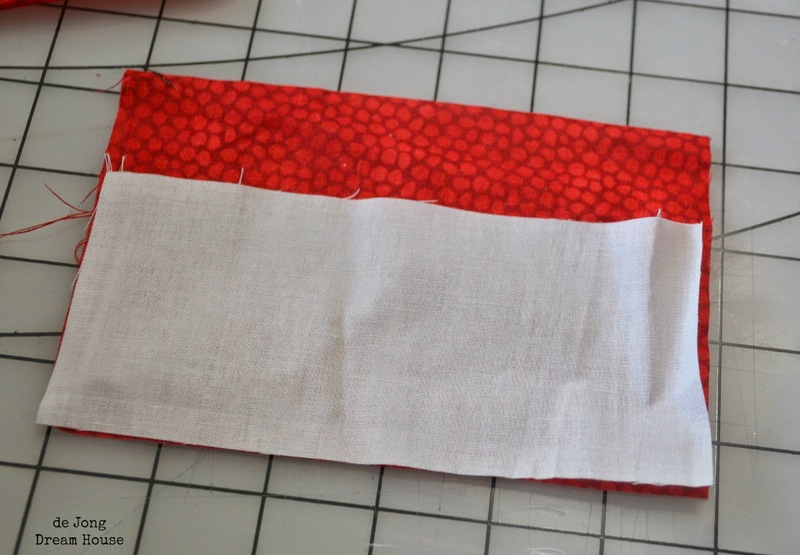 Learn from my mistake and cut out the Wonder Under to the same size as your fabric so that the bordering transfer web does not melt onto the iron. This really should have been done before ironing the Wonder Under. After a minute, you can peel off the backing. Check the wrong side of the fabric and you should feel the shiny webbing. 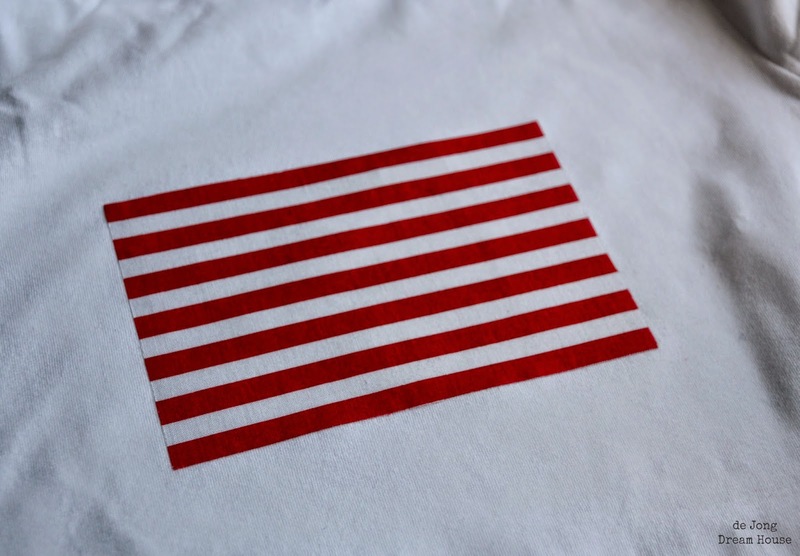 I started with the stripes. 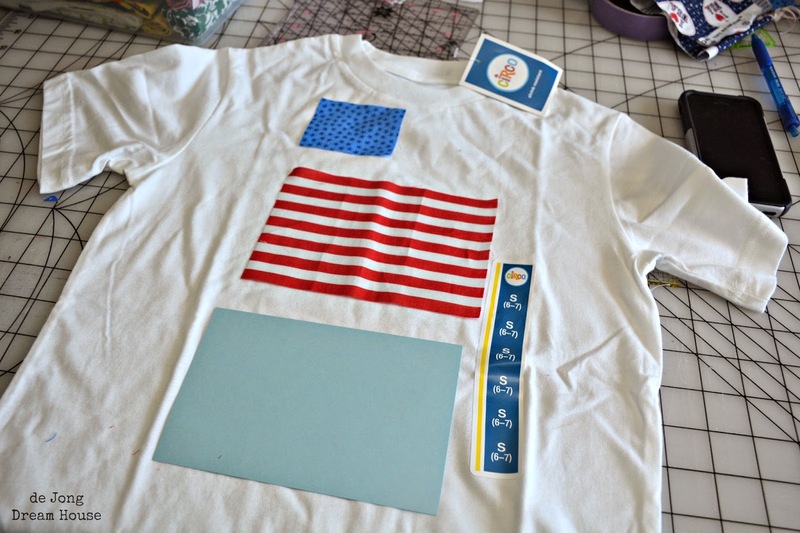 I ironed the piece again, this time right side up, to adhere the fabric to the tee shirt. I stitched around the striped piece as close to the edge as I could. I then repeated the process with the blue star piece. I didn't take photos because on of my best friends from Michigan surprised me with a visit! 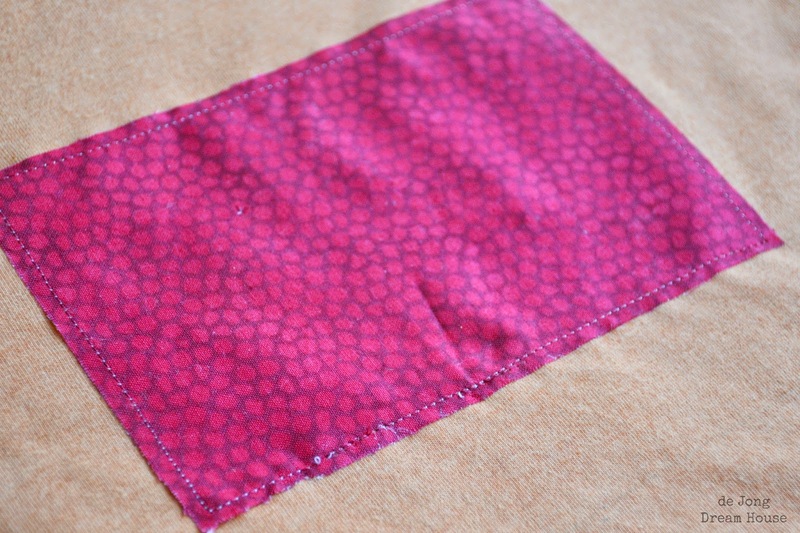 I only remembered to take a photo of the finished applique! 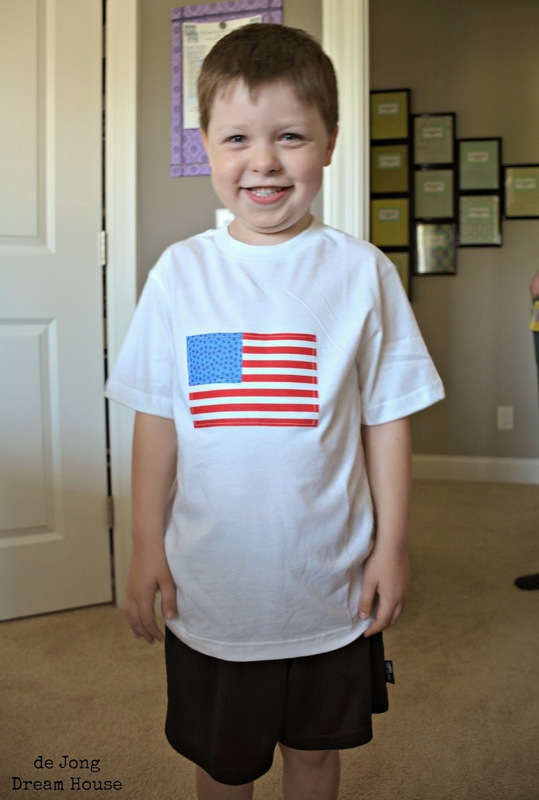 My happy American boy models his shirt. 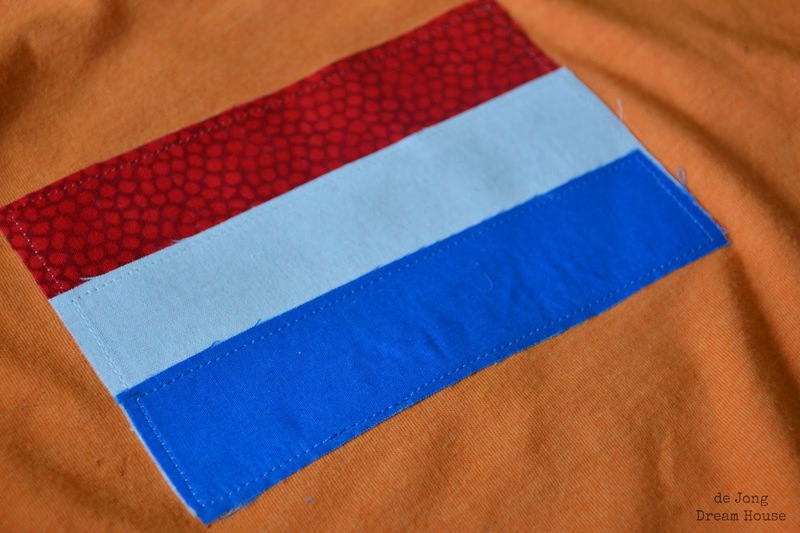 Of course, I had to make a Dutch shirt too. I flipped the notecard over to make sure that my lines were even. 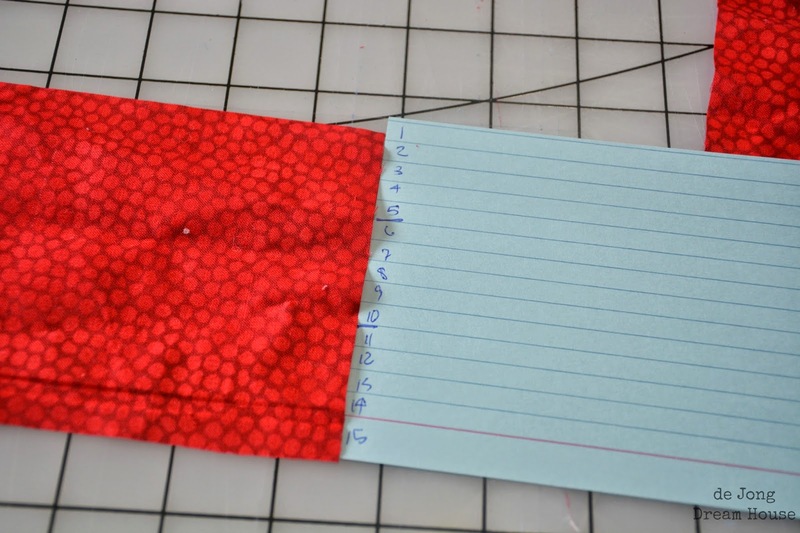 The red piece is 4"x 6". 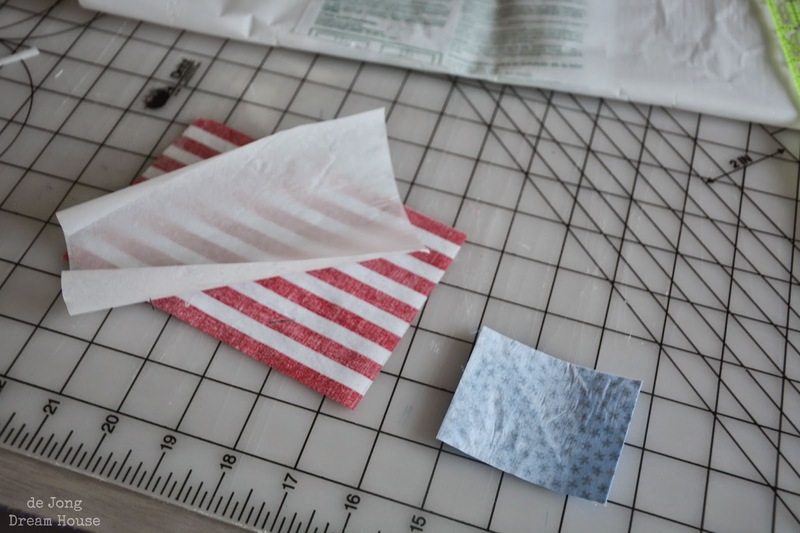 The white piece is 2-2/3" x 6" and the blue stripe is 1-1/3" x 6". 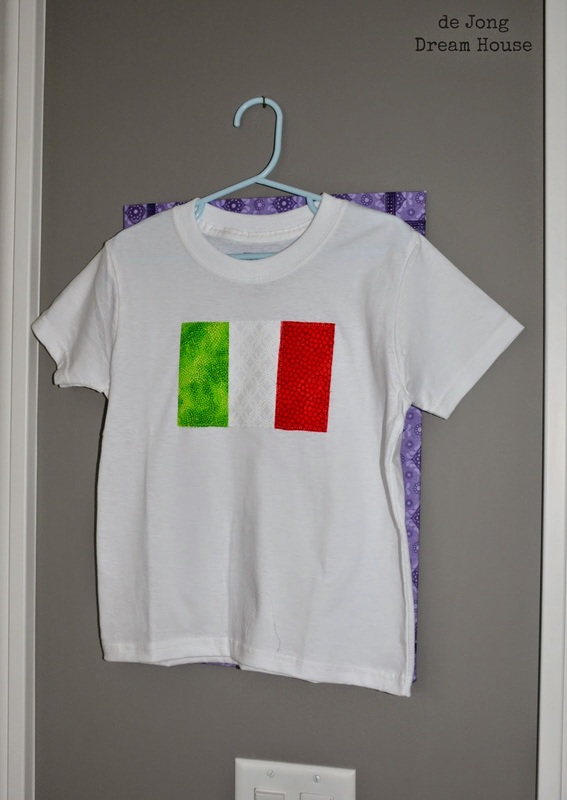 I followed the same process to make the applique. 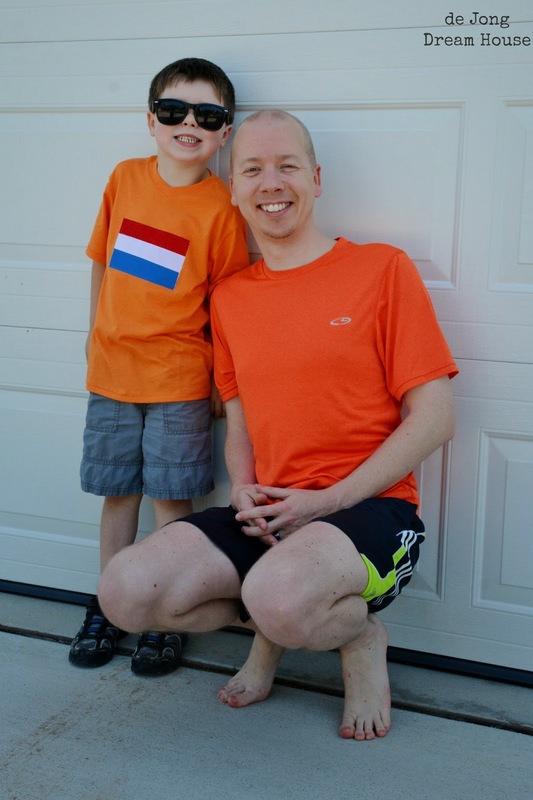 Two happy Dutch boys...especially after yesterday's win over Mexico in the round of 16! 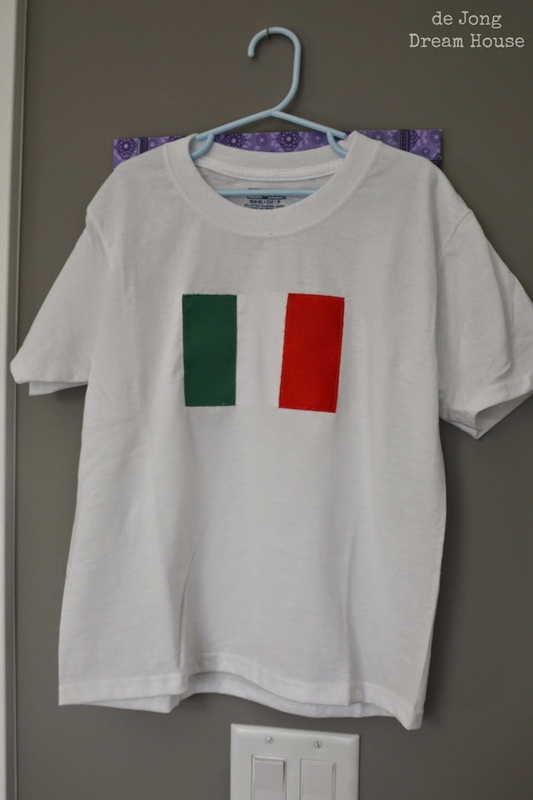 Our next door neighbors are Italian, so I also whipped up some Italian shirts. For these, I made the white piece 4"x6" and the green and red strips 2"x 4". I may have a new addiction. 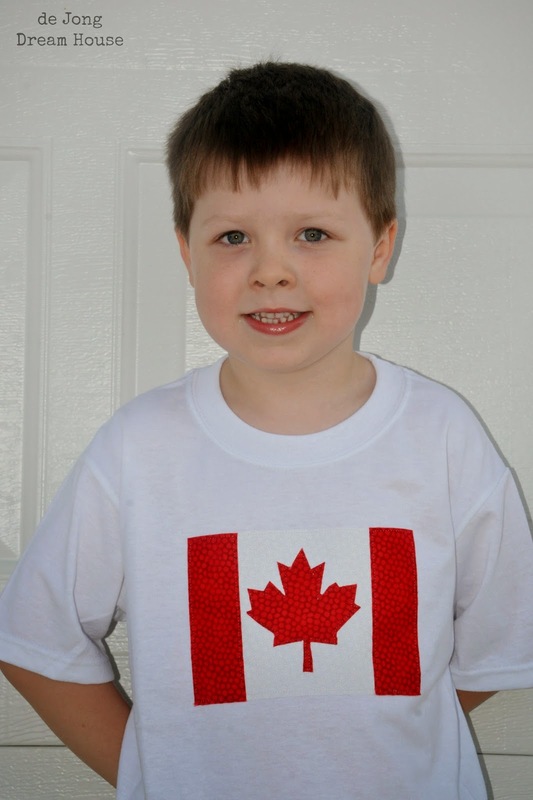 I made a Canada tee today in honor of our friends to the North. Shameless Plug! I've been published again!